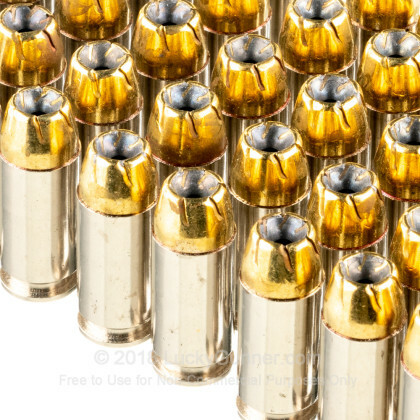 Golden Saber Jacketed Hollow Point ammo is top of the line self defense and law enforcement ammo. 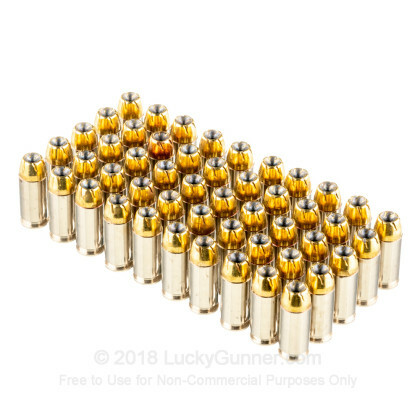 Designed for high weight retention along with significant expansion, Remington's flagship self defense product line includes this 180 grain 40 Smith & Wesson load which features the Golden Saber brass jacketed hollow point bullet and a nickel-plated brass case. 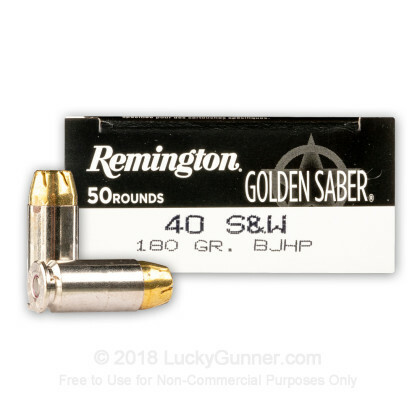 As such a large portion of the Law Enforcement community uses this round for their primary duty round, Remington has now packaged it specifically for Law Enforcement in 50-round boxes. 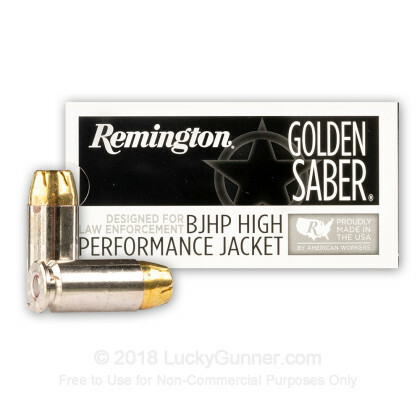 Remington calls the standard Golden Saber hollow point bullet 'HPJ' designating High-Performance Jacket. 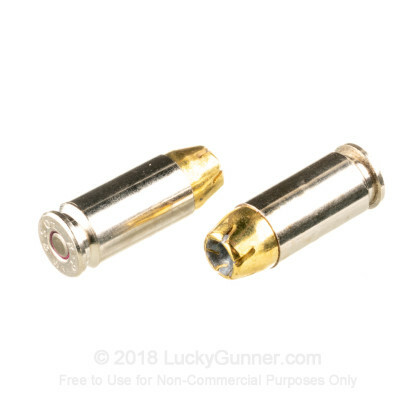 The three identifying features of this projectile are the jacket nose cut which forms a spiral of the fluted brass jacket for purpose of opening up the petals wide after impact, a thicker and stiffer brass jacket instead of the standard copper gilding metal used in most ammo, and finally the Driving Band design at the bullet's base made to mechanically lock the bullet core to the jacket. This design intends to improve accuracy and velocity with reduced rifling contact friction. 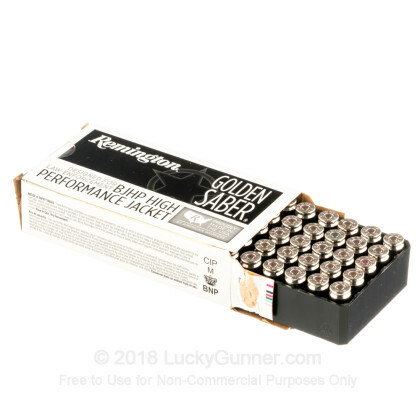 Remington's Golden Saber powders are modified with a chemical flash suppressant that reduces flame propagation, helping most to reduce the effect of night blindness a shooter would experience in a low light situation.